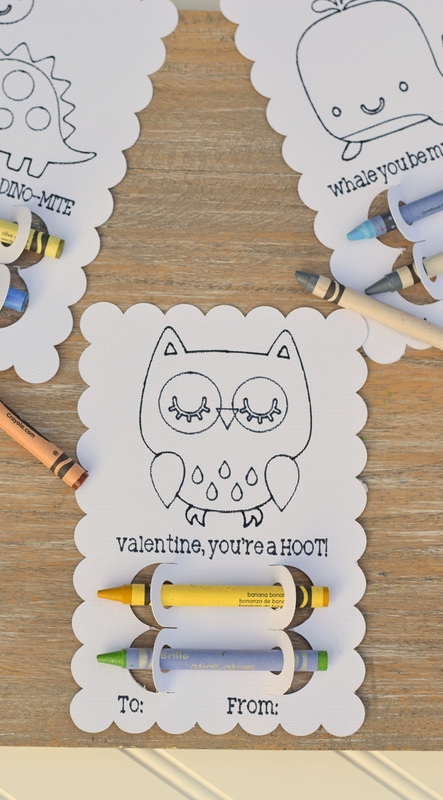 These non-candy Valentines are sweet to give this Valentine’s Day! 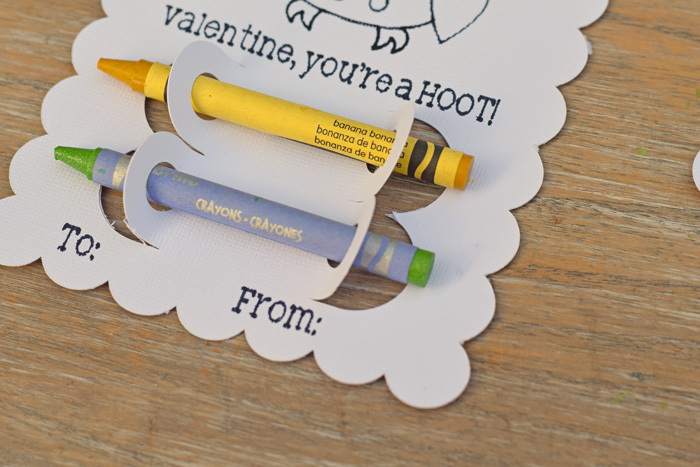 Make them for your own kiddos or create these DIY Crayon Classroom Valentines with Cricut for your child’s class. This post contains affiliate links. 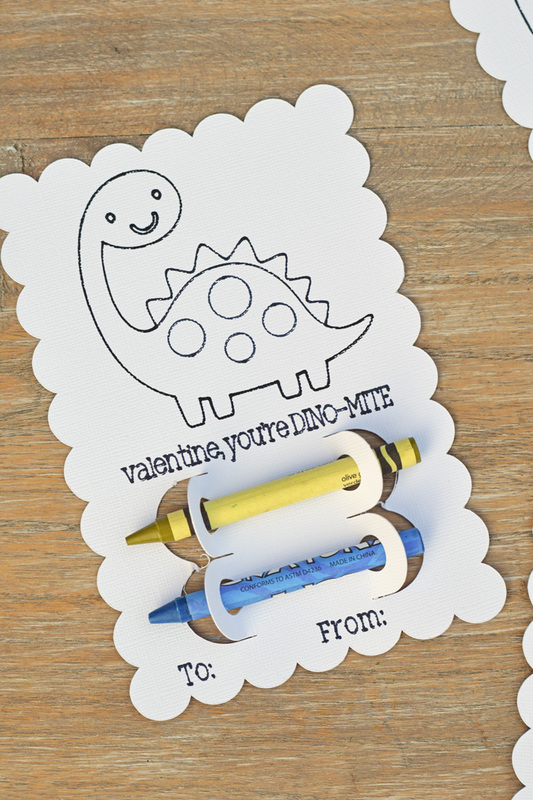 A few years ago, one of my most popular posts was on Non-Candy Valentines for Kids. With all of the candy that kids get for Valentine’s Day, a non-candy idea is always appreciated by parents (at least, I know that it is by me!). 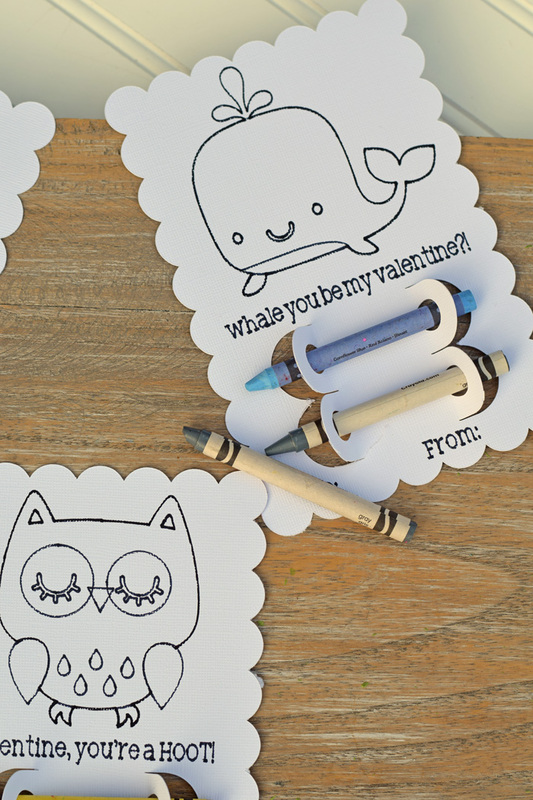 While searching for something on Cricut Design Space a few weeks ago, I stumbled upon these DIY Crayon Classroom Valentines in the Make It Now section. These valentines are ready to cut and are non-candy. If you have Cricut Access, they are no additional cost! 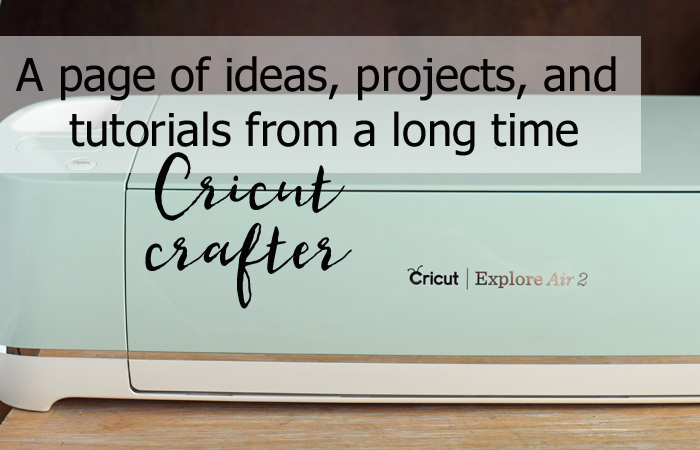 Do you ever wonder if you would use Cricut Access regularly? Read my article to see my thoughts on the subscription! I already had all of the supplies to create these at home. Click “Make It Now” on the bottom right corner. The project cut page will open. Cut as many cards as you need for your children or your child’s class. Lift up the crayon tabs and insert two crayons per card. The crayons stay well inside the tabs. I wondered initially if they would fall out easily, but the way that the tabs fold up keep them inside the slots. The holes are made for standard size crayons. The larger crayons may fit, but it would be tight. There are three animal designs- a whale, a dinosaur, and an owl. They are each so cute! What sorts of Valentines do your kids like to hand out? Would these be a hit in their classroom? This Make It Now project from Cricut makes it so easy! Looking for more Cricut tutorials, information, and tips? Check out the this page with all my Cricut projects! thank you for the post, regarding the valentine cards. Perfect for grandkids. I have cricut design space and somehow missed this. Happy crafting! I hope your grandkids enjoy them. I cannot find the Valentine Coloring Card Make It Now project. It’s no longer there. How can I get this template? I can’t find this wonderful Valentine card either. Please help me get the instructions. I promised my daughter-in-law I would make them and I’m having trouble. Thanks in advance. I tired the site you suggested above, but it wasn’t working. Just need instructions. Thanks. Hi, try going into Cricut Design Space, clicking on Projects, and search “coloring cards.” I’m not sure why the direct link to it isn’t working. I’m making these cards for my little boys class. What size do they need to be? I did it straight from the project on design space and when it came up it said I needed a 12×24 mat and there were huge letters stacked on top of each other and no writing on the card? That’s odd! I would totally log out of Design Space and then log back in and try again. It sounds like a system glitch. I logged out and in and it is doing the same thing to me. I had the same issue did you figure out how to fix that? Of the cards? Not right off hand. Approximately 4″ by 5″. Once you log into Design Space and click “customize” it will give the exact dimensions. I love these! Making them now! Thank you s I much! I just purchased these, and had the same problem as some commenters. There are giant letters on the bottom. As this was pricey, how can it be fixed? Solution found! It MUST be done from a laptop or desktop, not a phone or tablet! Ah, thanks for sharing! I only use a laptop, so I never know if there are issues with mobile.